The blunt force and trauma of a car accident poses numerous health risks. Objects might be thrown at you. Windshields, steeling wheels, and other car parts can thrust into you. And the skidding, twisting, or halting force of the crash will put stress on your whole body. Rosenfeld Injury Lawyers LLC handles car accident cases for victims who experience a wide range of injuries, and knee injuries are among the most common types of injuries we see. If you’ve experienced knee problems from car crashes, Illinois law allows you to get compensation. Call us for a free consultation and find out how you can get the compensation you deserve. Discoloration: An underlying injury can cause the affected area to change in color. You may see an area that looks red, or if it becomes infected, then it might to start look more yellow or green. If the knee or bones look abnormal, see a doctor right away. Temperature variation: Just like with other wounds, your body will respond to your injured knee by trying to heal itself. That response might make the area feel warmer than usual. On the other hand, if the car crash impaired blood circulation, then you might notice a cool feeling. Reduced strength: If your knee is injured, this injury will often weaken the joint. Limited range of motion: You may not able to move in ways that you could prior to the accident. This is a serious sign that your knee was injured. Pain: After a car accident, you might discover that your knee hurts either when you move it or when you touch it. Knee Fracture: Any bone fracture is a very significant injury. Car crashes break bones all the time, and these fractures come with deformities and discoloring. You might also see bone sticking out of the skin itself. Doctors will likely place the affected knee in a cast, but they might recommend surgery if it cannot heal on its own. Knee fractures can lead to long-term issues such as arthritis. Knee Dislocation: Absent a very strong force, such as a direct hit to the dashboard in an accident, knee dislocations are relatively rare. If untreated, they can cause very serious problems, possibly even leading to amputation if an arterial blockage or tear cuts off the blood supply to the lower leg. Knee Sprain/Strain: A knee sprain or strain can occur in a car accident if you stretch, tear, or damage the ligaments, tendons, muscles, or joint capsule surrounding the knee. These injuries are very common in automobile incidents. They are assigned grades from I to III depending on the severity: Grade I represents minimal pain, grade II represents mild pain, and grade III represents serious pain. Torn Cartilage: You might also tear cartilage around your knee in an auto crash. 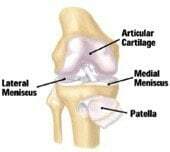 Trauma to the cartilage can create a tear in this important layer of cushioning in the knee. While time and rest ordinarily heal this type of injury, you may need surgery. Anterior Cruciate Ligament (ACL) Injury: Following an automobile accident, you might find that your ACL has been torn or damaged. 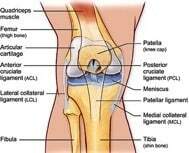 This is the ligament that runs across the knee to give it stabilization and strength. Any damage to it is serious and requires immediate medical attention. Following an ACL injury, you might find that you can’t walk or put any weight on that leg at all. Surgery to correct ACL tears or sprains is not uncommon, and ongoing medical treatment is vital. Posterior Cruciate Ligament (PCL) Injury: The PCL is considered much stronger than the ACL. It supports and acts as a brake against certain kinds of motions. Due to its strength, it requires a great shock or trauma to seriously injure or tear it, and this can happen in a car crash. PCL injuries can cause instability in the joint, and depending on the severity of the injury, treatment can range from ice and rest to surgical repair. Medial Collateral Ligament (MCL) Injury: Common in sports, MCL problems also arise frequently in car crashes. In fact, these are the most commonly affected knee ligaments. If you have an MCL tear or sprain, you might feel tingling along the inside of your knee. This type of injury might require surgery and long-term rehab as well. The knee injuries typically sustained in car accidents can be so serious that new airbag technology has been created to protect drivers’ knees in the event of a crash. There are numerous ways a driver or passenger’s knee can become fractured or crushed in an accident, and surgery is usually the only avenue doctors have to address the resulting issues. The Chicago auto accident attorneys at Rosenfeld Injury Lawyers specialize in recovering compensation for clients so that they can afford the medical care they need to get back to their lives following these accidents. The type of treatment you need for your knee following a car accident is entirely dependent upon how the injury happened and how much your body was affected. RICE: If your knee injury from a car accident is not that serious, your doctor might prescribe a series of at-home techniques. Normally, this will include rest, ice, compression, and elevation, or RICE. Surgery: If you tear, sprain, or strain any ligament or part of the knee, then your doctor might advise surgery. In these cases, surgeons will typically make small incisions and insert tiny cameras to guide them as they reattach ligaments or make other repairs. Rehabilitation: Doctors also frequently recommend rehab in order to strengthen the knee and leg. This can include a battery of exercises chosen by a physical therapist, such as swimming, running, and balancing. 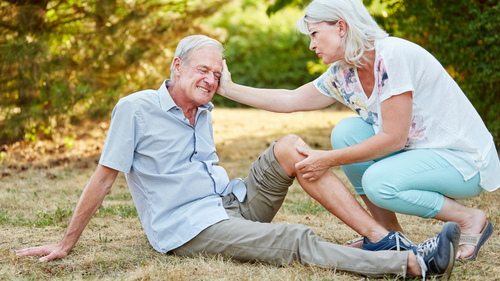 The important thing to recognize about the treatment options for knee injuries following car accidents is that they all will cost money, take time, and impact your life. This should all be taken into account when trying to calculate how much your claim is worth. With the help of experienced counsel, you will be able to identify the true cost of your treatment. Invariably, the defendant in your auto accident lawsuit will present arguments that attempt to negate your ability to recover damages in court. Generally, they will first try to take away your right to receive compensation at all by claiming that you were responsible for the accident or that some other party was responsible. Then, if unsuccessful with that tactic, defendants in Illinois car accident cases will argue that your damages are not as great as claimed. They can’t really argue with the medical bills you incurred because those are fixed and obvious, but they can dispute your intangible injuries, such as pain and suffering or reduced quality of life. To bolster these claims, you’ll need to show how the accident affected your lifestyle and how similar plaintiffs were comparably rewarded. An experienced attorney can help you dismiss defendants’ arguments with effective advocacy that preserves your rights in court. Rosenfeld Injury Lawyers has helped thousands of people in Illinois to get the medical and legal services they need. We work with a broad network of medical professionals, and we can put them to work to help you recover as quickly as possible and maximize your compensation in court. You focus on getting better: We’ll focus on your legal rights. 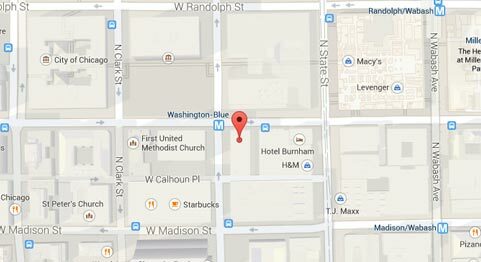 If you have questions about your knee injury from a car crash and what your legal rights might be, contact us for a free consultation with one of our award-winning Chicago auto accident attorneys. We’ll collect the information we need to properly investigate the details of your claim and review your legal options. And if you move forward with your knee injury case, you’ll pay nothing out of pocket for our services: We work solely on a contingency fee basis, so we’ll only get paid once we secure compensation on your behalf. Call us today and let us get to work for you.